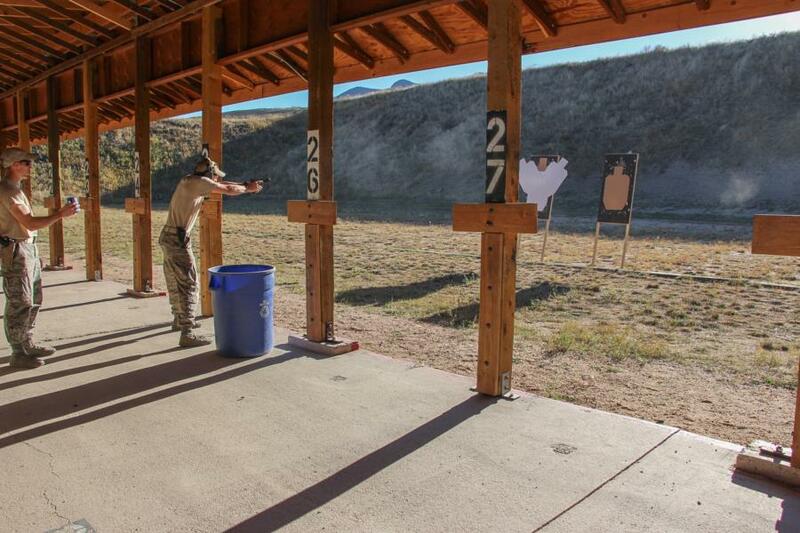 We visited with the Combat Shooting Team in CATM again this week. 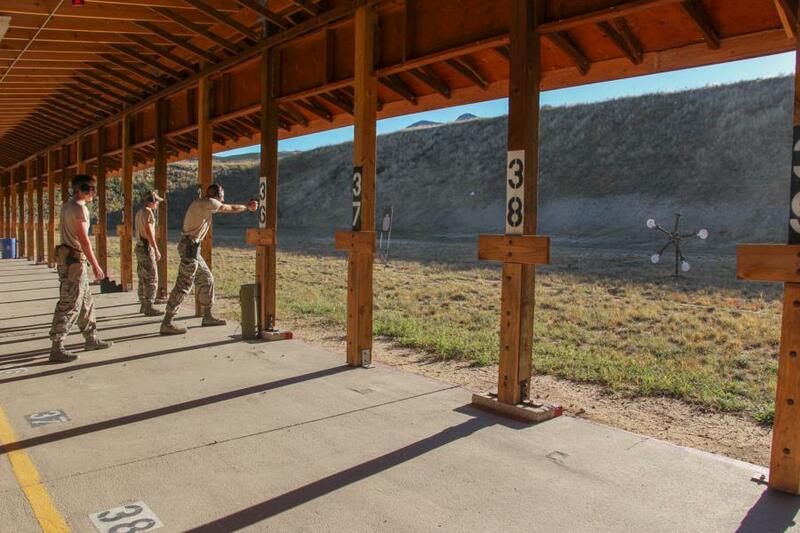 This time we got to see them in the middle of a friendly Team Competition between Cadets in the Club. 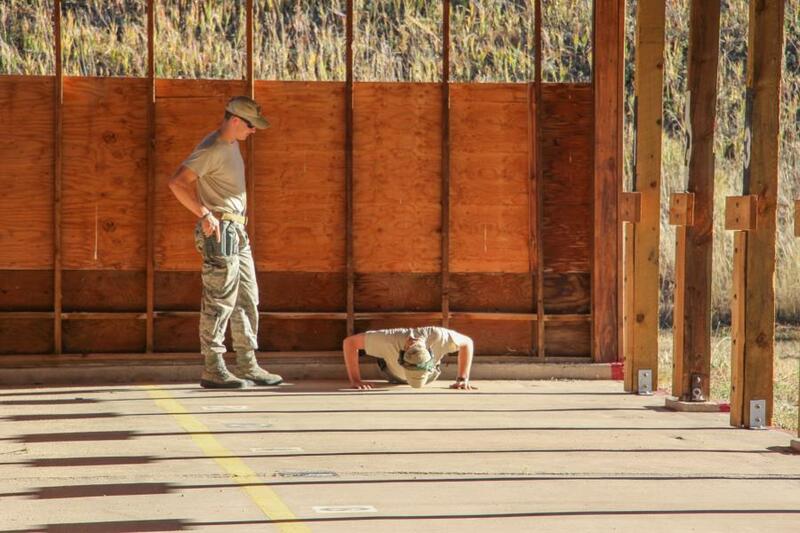 Each Cadet in the CST was timed during this Competition. They started by doing 30 Push-ups. 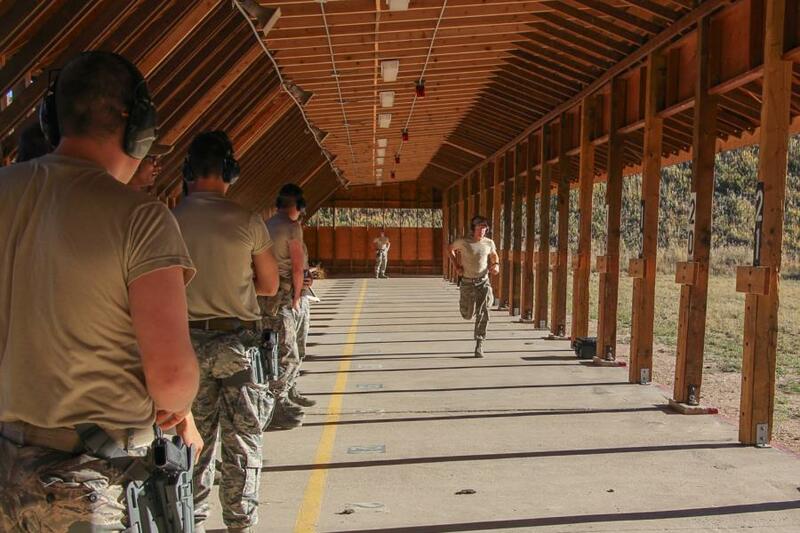 Then, proceed to run halfway down the shooting range. 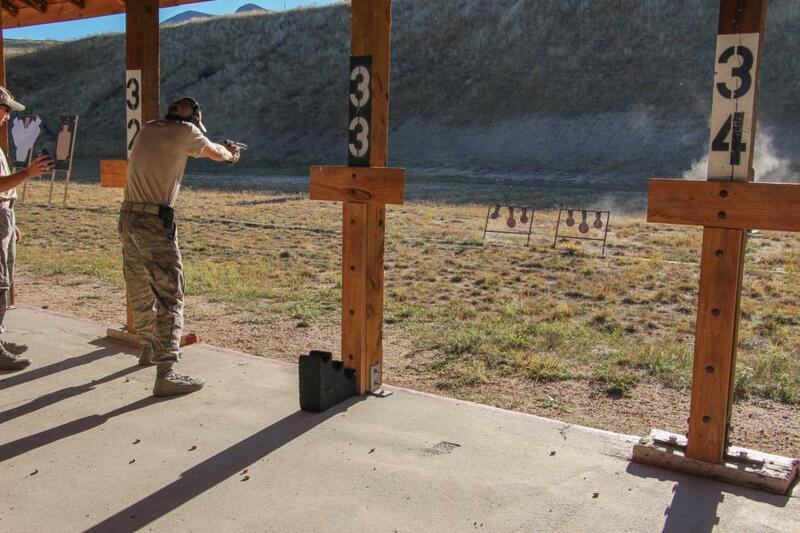 And when they got to the next point they had to hit the targets in specific locations. On the first one, only in the brown cardboard area - if they hit the white section at all, time was added to their finished time score. The second and third they had to get the shot within a certain area of the board. 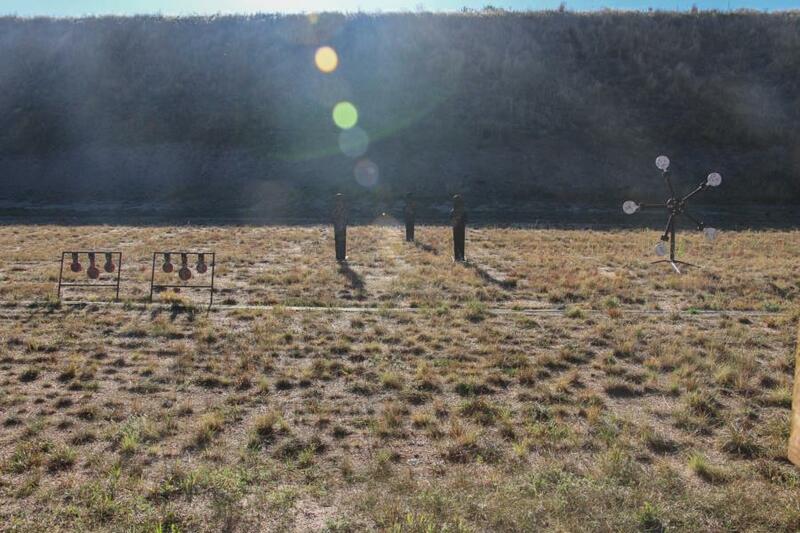 They also had to remember to shot the targets in closest range to furthest range from where they were standing, otherwise it would again add time to the finished time score. 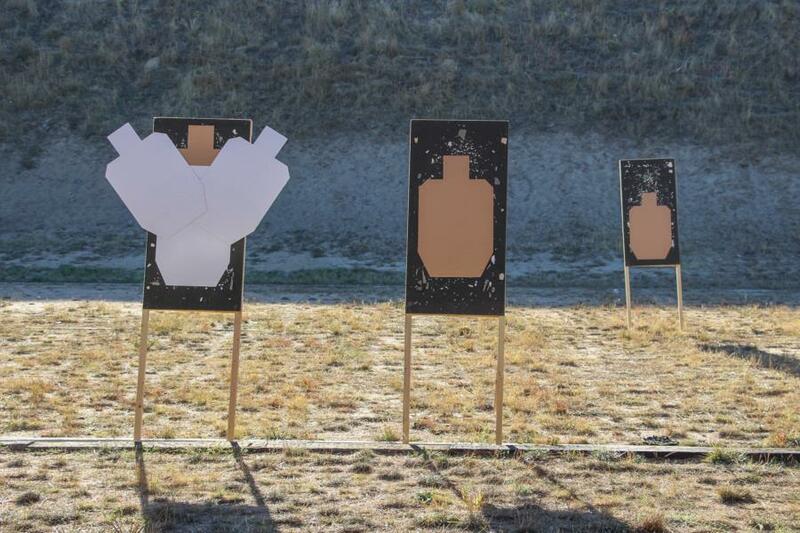 After they were done with the first three targets they then moved further down the shooting range. This was the next spot. Again, shooting the objects within closest range first to furthest range last. They could not move to the next target unless the person running the timer called "Hit", otherwise the shot wouldn't count. Go to Galleries - Extracurricular - Cadet Clubs to find the rest of the pictures. They start on page 8. Or click the link below. Click this link to view the rest of the pictures from the Event.